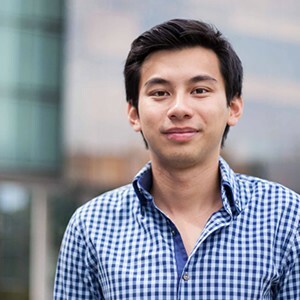 HY William Chan from the University of Sydney recently won the Australian Institute of Architects’ student prize for the advancement of architecture award. Born in Hong Kong and then moving to Australia as a child, Chan studied a Bachelor of Design in Architecture (Digital Architecture). For the past four years, he has been visiting low-SES high school students in NSW, promoting tertiary options in architecture and design. Architecture & Design spoke to him about attending the World Urban Forum, his work with low-SES high school students and why living in Australia sparked his interest in sustainability. You were recently in Colombia for the 7th session World Urban Forum. What did you learn there? The UN World Urban Forum presented a critical opportunity for thought-leaders in architecture, planning and policy to drive urban development in making cities sustainable, healthy, livable and resilient. This year’s theme of ‘Urban Equity in Development – Cities for Life’ explored ideas relevant to Australia in our approach to community engagement. I had previously assisted in drafting the World Urban Youth Declaration as part of the UN Youth Assembly. It was exciting to see our work continued in Medellín at a time when the world is moving towards the new UN Sustainable Development Goals after 2015. Living in Medellín was a great learning experience. Medellín is a living laboratory for best practice in urban infrastructure development and civic leadership. Named the world’s most innovative city last year by the Urban Land Institute, it was empowering to hear about Medellín’s transformation from its dangerous past. Its efficient metro and cable car network connected the new north with the affluent south. The system allowed all its citizens, regardless of age and socio-economic status, to access the vibrant public spaces. This experience made me realise that Australia has much to learn from the countries that face the most rapid impacts of urbanisation. I believe that cities and urban settlements need to be developed through citizen participation. You have been visiting low-SES high school students in NSW, promoting tertiary options in architecture and design. How have you been promoting this to students? My university studies have led me to understand the value of tertiary education, which has motivated me to share my story with students from disadvantaged backgrounds. Social inclusion and access to education is an issue for young Australians but it is more prominent in the architecture and design profession due to the lack of diversity and employment equality. I have enjoyed mentoring primary and secondary school students, running practical design workshops at the University of Sydney and visiting low-SES schools in my role as a Senior Student Ambassador. Last year, I was profiled on the national TV series, Models of Achievement. It was rewarding to represent my profession and champion architecture to students who otherwise wouldn’t consider such a creative education and career path. My first-hand experience of how education can impact underserved communities and the lives of others is a constant source of motivation. Through the Global Studio action-research interdisciplinary design program, I was able to see lives changed in the slums of South Africa and India. It is important to me to help communities in Australia and abroad. I want to be part of the solution. I want to step up for my generation and together, ensure we create a world that is defined by the ethos of equality, inclusiveness and collaboration. I also love sharing the joys of architecture. I hope others with a similar passion can access the opportunities of studying and practicing architecture. You've said, “In slums it is crucially important to get [sustainability] right.” How can a sustainable environment be developed in projects that are low on budget to begin with? Respect for the environment and the development of sustainable practices can be achieved even in slum communities. As architects, the challenge of meeting – and even exceeding – brief requirements and restrictions is faced on a daily basis. Our role as creative problem solvers is to design solutions that are innovative and at times unexpected. If ecologically sustainable development principles are inherent to a project, then a sustainable environment can still be developed within the budget constraints. Environmental and social sustainability within the built environment ultimately improves people’s lives and so is equally important, whether in a city or an urban settlement. Where did you develop your passion for sustainability? My passion for sustainability was developed from living in Australia and being surrounded by our natural landscape. This contrasted from the urban density of Hong Kong, where I was born. I am fortunate to be surrounded by an abundance of beaches and mountains. My interest in outdoor adventure sports has also shaped my deep appreciation for environmental sustainability and conservation. My experiences in Australia and Hong Kong opened my eyes to the potency of the natural and built environment, which led to my decision to become an architect.